There are many different conditions that can affect the brain, spine and nervous system. In all cases, though, a prompt and accurate diagnosis makes it easier for your doctor to decide on the best form of treatment. Because the brain and spinal cord are the most complex systems in the body, there are a number of approaches your doctor can use during diagnosis. Together, the brain and spine form the control center for the entire body. For this reason, conditions that affect brain, spine and nervous system health can cause symptoms elsewhere in the body. 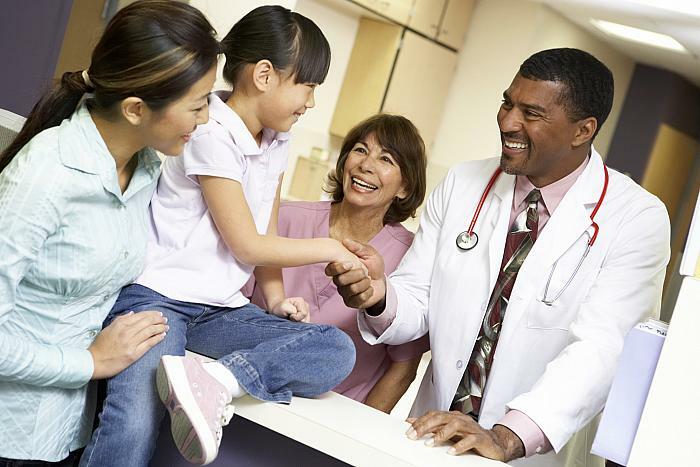 That’s why most visits to the doctor begin with questions about your medical history. The answers to questions about your health lets your doctor learn more about types of symptoms you have and how long you’ve had them. Knowing this information helps your doctor get a better idea of what your specific health concern may be. Taking a medical history is usually only the first step in determining an accurate diagnosis, and will normally be followed up with additional tests for further information. In addition to a medical history, your doctor may perform a range of diagnostic tests. These can give your healthcare team more information about your condition. For some brain conditions, a baseline of brain function needs to be established first before further testing can be done, or treatment can be started. A neuropsychological evaluation includes standard tests that look at attention span, memory and problem-solving skills. Senses, like sight and hearing, can also be tested, along with physical reflexes. Imaging tests take pictures of the brain, spine and any tumors that may be present. It’s normal for your doctor to perform more than one diagnostic test, as the results of each one can reveal different information. Angiograms are X-rays of the blood vessels. An angiogram uses a contrast dye that’s injected into your bloodstream. The pattern of your veins and arteries is then visible to your doctor. Bone scans can show problems that may not be visible yet on a regular X-ray. A radioactive tracer travels through your bloodstream and into the bones so that a special camera can take pictures. Bone scans can show areas of too-rapid bone growth, as well as areas that aren’t getting enough blood supply. Some types of cancer are also visible in bone scans. Computerized tomography (CT) scans use a combination of X-rays taken from all different angles to show a complete 3D cross-section of your brain. Magnetic resonance imaging (MRI) scans use magnetic fields and radio waves, which take a more detailed picture than X-rays. An MRI is often used in diagnosing conditions of the brain and nervous system, because it shows such good contrast for those areas. For some conditions, a functional MRI (fMRI) may be used. This type of MRI measures how the brain is working, which can show if a particular area of the brain (such as one that controls speech or memory) is affected. A positron emission tomography (PET) scan uses tracing chemicals to look for levels of activity in the brain. Some types of PET scan can detect certain proteins in the brain that are related to Alzheimer’s disease. Biopsy: During a biopsy, your doctor takes a small tissue sample to examine it more closely under a microscope. Tissue can be taken from any area where cancer or another disease is suspected, including growths and tumors. Blood and urine tests: Blood and urine tests can be used to show certain proteins, hormone imbalances or abnormal cells that indicate the presence of cancer or other brain and spine conditions. Another test may be needed to confirm diagnosis. Endoscopy: Your doctor can insert an endoscope, or tiny camera, to get a closer look inside your body.